A large genus, Ficus plants include many varieties of ornamental trees and shrubs, some used widely as indoor plants, as well as creeping and climbing species and the well known fruiting varieties. With over 800 ficus species, both deciduous and evergreen ficus trees are versatile performers. So from the fruiting varieties to the wonderful foliage of species such as Ficus dammaropsis, this is a genus that has much to offer the gardener and landscaper alike. Ficus trees are often used for bonsai trees with Ficus rubiginosa being recommended for beginners. Another, Ficus benjamina is now a popular indoor plant.In general they do not need a lot of care, overwatering should be avoided and care for your ficus by not disturbing the root system. F. carica is the common fig, grown for the fruit. F. hillii is ‘Hills Weeping Fig’ and Australian Native used as an ornamental tree. The Moreton Bay fig is Ficus macrophylla. The Port Jackson Fig is Ficus rubiginosa. F. pumilla is the creeping fig, used as a climber and a ground cover plant. 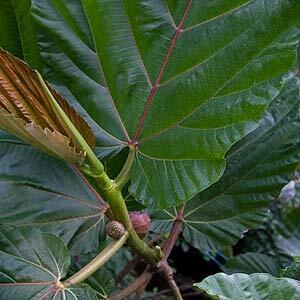 F. elastica odora is another used as an indoor plant, often called the ‘Rubber Tree’ and widely used as an indoor plant. Both green foliaged and variegated forms are available. F. dammaropsis with its large foliage is rare, however a wonderful foliage plant. F. microcarpa is the Chinese Banyan also called the Malaysian Banyan. F.bejamina is another known as ‘Weeping Fig’ it is not widely offered for sale as its root system is invasive, only grow it in a container. A few tropical growing species from northern Queensland, not widely offered include, F. crassipes, F. pleuocarpa and F.dsestruens.